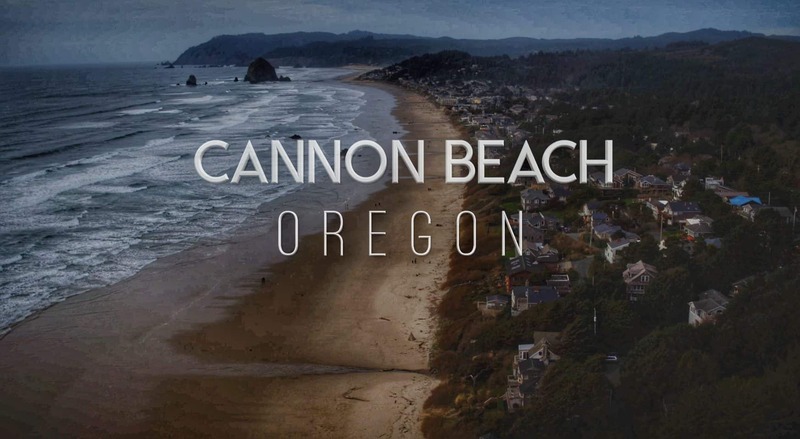 Have you visited Cannon Beach? If not, we highly recommend it! There really is something special about this place. It’s a feeling, a vibe, a energy that’s hard to put into words. The scenic beauty of the world famous Haystack Rock must be experienced to understand. This monolith is much larger than most people realize, and is visible from much of the city. Cannon Beach also sites right next to Ecola State Park which is one of the most breathtaking state parks on the Oregon Coast. This video was filmed and produced for the Cannon Beach Chamber of Commerce. The idea here was to capture the magic while revealing just a few of the outdoor adventure opportunities available. The goal in this production was to give the viewer just a small taste of the outdoor recreation possibilities while showcasing unique angles and perspectives of Cannon Beach. Thanks for reading! I hope the video inspires you to get out and create your own adventure! If you’d like to see more of our work make sure you follow us on Instagram! The concept behind this video was to showcase scenic landmarks on the North Oregon Coast being explored by Ford vehicles. This video was filmed and produced for Astoria Ford in Warrenton Oregon. The video features the Astoria Column, Warrenton Jetty, Astoria-Megler Bridge, and more. I really enjoyed producing this video for Astoria Ford because they gave us a good amount of creative control. The concept was simple, showcase Ford vehicles while touring local scenic landmarks. The filming on the Astoria-Megler bridge was especially challenging because we needed the shot right at sunrise and there was a lot of traffic on the bridge at the time. It took 5 takes before we finally nailed the shot we were looking for. In the end, we were very happy with how the video turned out and are excited to film the next one! Watch the Astoria Ford Northwest Scenic Landmark video on Facebook below. Interested in our video production services? Click here to contact us for a free quote. Morrisey Productions produced this video for Sunset Empire located in Seaside Oregon. For nearly 50 years the Sunset Empire Parks and Recreation District has provided more than just recreation services to the North Coast Community. 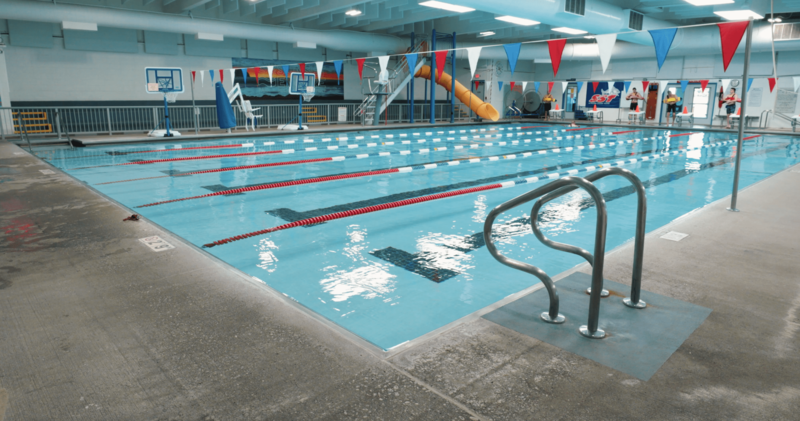 The District offered the first modern indoor public pool in all of Clatsop County in beginning in 1976. The Sunset Pool continues to serve the thousands of people that come through its doors each month through the healing power of water. Since it’s inception, the district has sought to provide high-quality recreation programs at an affordable cost. 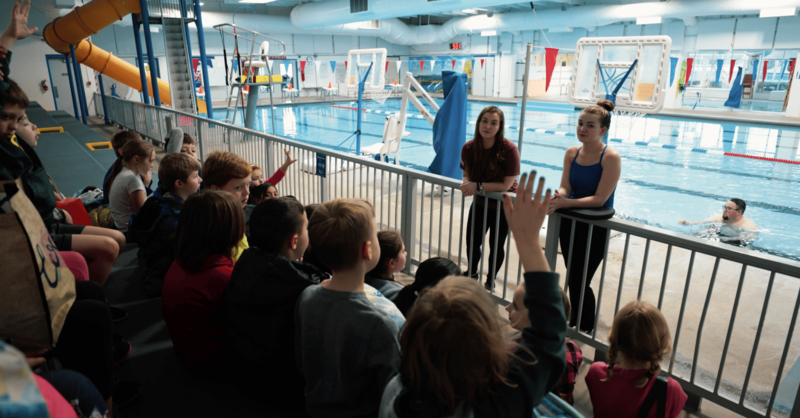 Swim lessons, after school programs, senior exercise classes, and annual spring egg hunt only begin to tell the story of the programming available. Park and recreation agencies have three important values that make them essential services to communities. Economic value, health, environmental benefits, and social importance. Park and Recreation departs are vital in ensuring the quality of life in the community and ensuring the health of families and youth. What would a trip to the North Coast be without a stroll along the promenade or a stop at one of our beautiful beaches? Research has shown that parks and recreation programs improve the local tax base and increase property values. Those features increase the lives of members of our community as well as having an entity that overseas recreation programs and facilities. While we all enjoy the beautiful North Coast, there are many times when outdoor recreation opportunities are limited. Clatsop County receives more than double the amount of average rainfall than most of the country. So where can our district residents go to recreate? That’s where the Sunset Empire Parks and Recreation District comes in and provides this valuable service. Recreation and physical activity are especially critical in our society today as research indicates that frequent activity and movement can drastically reduce the chronic diseases that are prevalent in our society today. What’s more, is that parks and recreation programs are a tangible reflection of the quality of life in a community. These programs provide spaces for groups, friends, and family to gather and recreate. They provide facilities for children to learn to swim and adults to try a new skill and a place for healthy interaction to occur. We love the opportunity to serve our district residents and guests with high-quality recreation programs and facilities. Whether you’re here for a game of bingo, to enroll your child in preschool, or just want to swim a few laps, we hope you feel welcome in our facilities. This video was filmed and produced by Morrisey Video Production Portland Oregon. We specialize in cinematic aerial drone footage and offer a full-service production house. The Morrisey Productions team really enjoyed producing this video for Sunset Empire. In the production we used a combination of DJI Inspire Drone and a Cannon 1DX Mark 2 Camera. If you’d like a free no-obligation video production estimate request a quote here. Filmed and produced for the Cannon Beach Chamber of Commerce by Morrisey Productions. Haystack Rock in Cannon Beach Oregon is one of the most iconic landmarks in the State. During these flight we used our Inspire X5R drone to capture this incredible footage. Morrisey Productions is regionally located in Portland, but provides our expert drone services to the entire Pacific Northwest. Our company uses only FAA Certified drone operators to ensure that your job is done safely and correctly. Want to see more incredible footage of the Oregon Coast? This video was filmed at Waikiki Beach in Honolulu Hawaii by Morrisey Productions in September of 2016. Filmed with a DJI Inspire x5R Drone with raw capability. During this flight Brit Morrisey was controlling the drone and Seth Morrisey was controlling the camera. Check out the Morrisey Productions YouTube channel to see the full video version of our Hawaii adventure including footage of Molokai and surf footage from Queens and other legendary Hawaiian surf locations. If you prefer, watch the video on Facebook.